Bud of the "Barbarossa" hybrid dahlia at the Munich-Nymphenburg Botanical Garden. 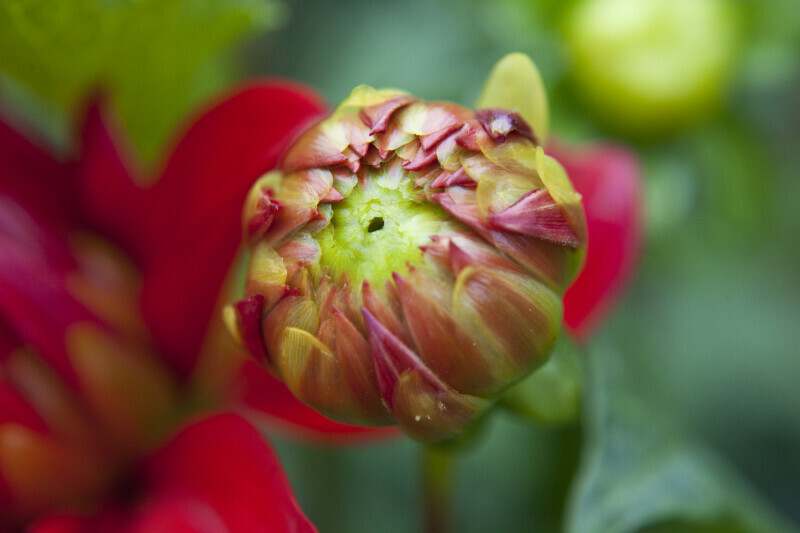 This bud will eventually bloom into a flower with wavy red petals. WARNING: You are about to download a 41.5 MB TIFF!